A wide range of chocolate, sandwich fillings, sweeteners and even baking powder, DulciSana has it all. 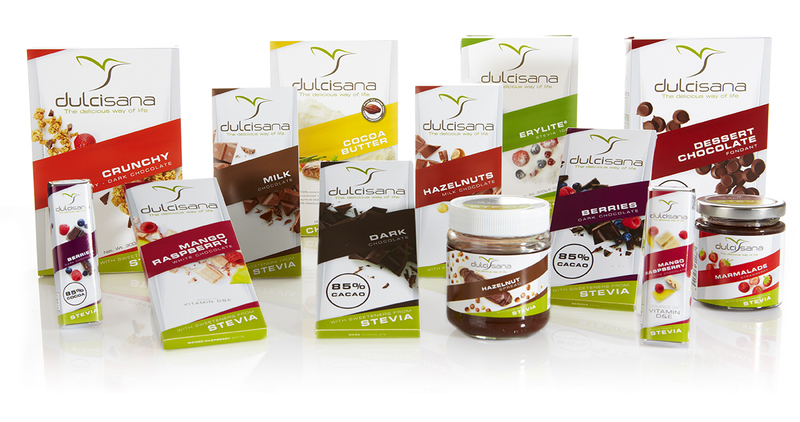 Although all these products normally contain sugar, DulciSana made a range of no sugar added products. These products are the result of a long development process and have been tested and tried thoroughly. DulciSana products can be part of a healthy life style because we choose appropriate food components, fats and minerals. So they are not only delicious and suitable for young and old, they are also ideal to stay fit. Just remember: enjoying is not an option, enjoying is a commandment!